I’ve been working from home since moving to Medellin, Colombia with my wife and son in 2013. 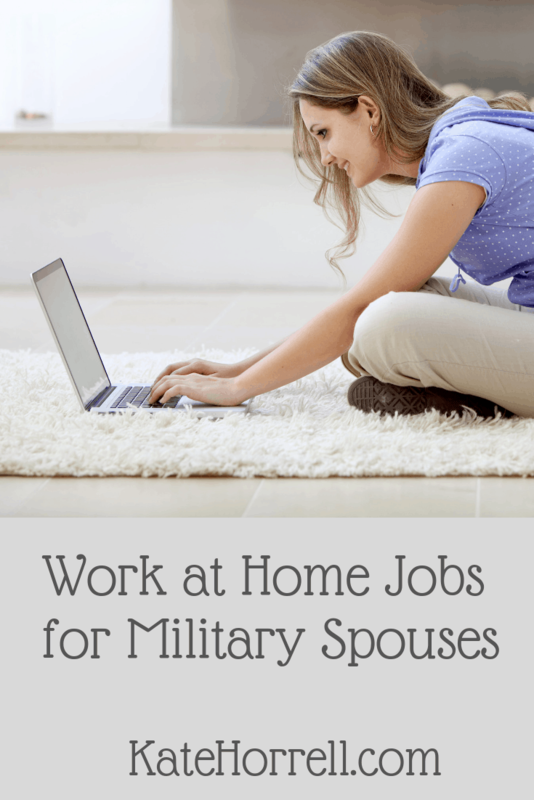 I thought I had heard of all the ideas until I saw Kate’s list of underappreciated work at home jobs. I loved some of the overlooked ways to make money and had to add some of my own to the list. Most of these ideas can become a full-time business and some can grow to a six-figure income. Even the ones that are more like part-time side hustles can produce a solid income with less effort than you’d imagine. First though, understand that there are really two types of work from home opportunities. The first type are going to be more like traditional jobs where you work for an employer and perform routine tasks for an hourly wage. These aren’t usually going to be the most inspiring or fun jobs but they’ll pay a good wage for work that’s easy to get. The second type of work from home job is more like starting your own business. You still might be doing work for a company but it will be as a contractor or you might sell directly to the customer yourself. These jobs provide more control and income potential but bring risks and uncertainties of their own. Both types of jobs have their pros and cons. Knowing the good and the bad in each will help you understand which is best for your situation. The advantage of those traditional work from home jobs working for another company is that they’re usually pretty easy to get. These are jobs like transcriptionist and online travel planner, jobs that almost anyone can do with little training. They offer consistent and reliable pay and there’s always demand for new workers. The downside is that pay is usually limited. You’ll be working for an hourly wage that isn’t spectacular and might only be able to get 20 to 30 hours a week from the employer. The jobs might be a little boring at times as well. You’ll be performing rote tasks without much ability to change things up. If you’re looking for a job you can get within a week or two and hours that can fit any schedule, I’ve found two part-time online jobs that might be right for you. As an Online Fashion Consultant, you’ll either work directly with customers or off a profile they create to suggest something for a special event or even an entire wardrobe. You might even get regular clients that come to you every time they need a new outfit. This is one that obviously takes a little fashion-sense but you don’t have to be Coco Chanel to get a job. Companies like Stitch Fix and Allume hire for their personal style service for men and women. The average hourly is $15 with a range between $14 to $17 an hour. A Social Media Manager is one of my favorite work from home ideas because it can be both a quick, easy job or a full-blown business. The social media revolution has created stars bigger than any Hollywood production and no business can go without the obligatory social profile. That means millions of social media accounts that need to be managed on a daily basis, sending out updates, engaging with the community and building a brand for the business or influencer. Many of those influencers and businesses just want to outsource that part of their marketing. As someone that runs four Twitter accounts, two Facebook pages, Instagram and Pinterest accounts as well as a YouTube channel…I’m always looking for someone to take some of the work off my hands. Being a social media manager is more than just tweeting what’s on your mind a couple times a day. You’ll work with the business to come up with a strategy for reaching people and might work across multiple social channels. Companies like Modsquad hire for content moderation and engagement on forums and social profiles but this is one where you can also get your own clients and make a lot more. Working for a social media management company will usually pay between $8 to $10 an hour while you can charge between $20 to $50 running your own business. I’ve included five more part-time work from home ideas in a video on the YouTube channel including salary and who’s hiring. The benefit to starting your own work from home business is more freedom to grow and potentially much bigger earnings. You’ll have more control over your daily routine and are likely to enjoy it more than doing the same thing every day. Of course, the downside to running your own business is no guarantee of making money. Growing the business can be a lot of work and it might be months before you start seeing a consistent income. That’s why it’s so common to see people start with some of the routine work from home jobs, working part-time for another company, while they spend another 10 hours a week or so building their own business. I started my blogs in 2013 while working as a freelance writer and blog manager for others. It wasn’t until years later that I finally dropped all my freelance clients to focus solely on my own businesses. One interesting work from home business I’ve recently been watching is a Virtual Conference Organizer. Going to a traditional conference can cost $5,000+ including travel costs versus less than a tenth that amount to attend an online event so you can imagine these are getting very popular. The organizer lines up speakers either for an interview or presentation. You’ll put together the marketing for the event and sign up affiliates to help sell tickets. It helps to also have some way attendees can connect and engage with each other as well so a Facebook group or online forum is usually created. It helps to be connected into a niche community to know who the popular people are in the topic but I know organizers that work in multiple topics. Costs to set up a virtual conference are very low and you can charge up to $500 for passes. The downside is that it might take several months to organize the even with most of your sales coming in one or two months. Just as professional athletes and movie stars have agents, the growing number of online influencers and bloggers need their own agent to get noticed. An Online Agent works with the online personality to book podcast or YouTube interviews and might even line up sponsors. Like the event organizer, this one takes some time to find clients but income is more stable once you get going. You’ll first build a list of podcasts, blogs and other channels looking for guest contributors or interviews. Then you reach out to bloggers or influencers looking to expand their reach by appearing on one of these. The best part about being an online agent is that you can work for several clients, using the same list of potential interviewers. I pay an agent $350 a month to book me on podcasts to promote my blogs and YouTube channel. I guess it would be a little hypocritical to not mention becoming a YouTube Creator as a work from home opportunity considering how much I make from the source. I’ve managed my blogs for more than five years now and have made good money from the start. In less than a year on YouTube though, it had grown to half of my income and I was reaching a community of 40,000+ people. That’s not to say creating a channel is easy or fast. In fact, you’ll have to meet some minimum requirements before you’re able to start making money off your channel. Once you start though, you’ll be able to get sponsors for the channel, sell your own products and make money off ads. It’s a business in itself but definitely one worth exploring. The secret to success working from home is being flexible and able to adapt quickly. Since some of the business-type jobs don’t cash flow immediately, you might start with an easier part-time job while you grow your website or online business. The great thing about all these jobs is that they cost almost nothing to get started and can be done from anywhere with an internet connection. Try out a couple on the list to see which you enjoy most and you’ll never want to go back to a traditional job. Joseph Hogue worked as an equity analyst and an economist before realizing being rich is no substitute for being happy. He now runs four websites and a YouTube channel on beating debt, making more money and making your money work for you. A veteran of the Marine Corps, he now makes more money than he ever did at a 9-to-5 job and loves building his work from home business.